"It shouldn't be a big deal, so hopefully McMaster will get behind the idea." 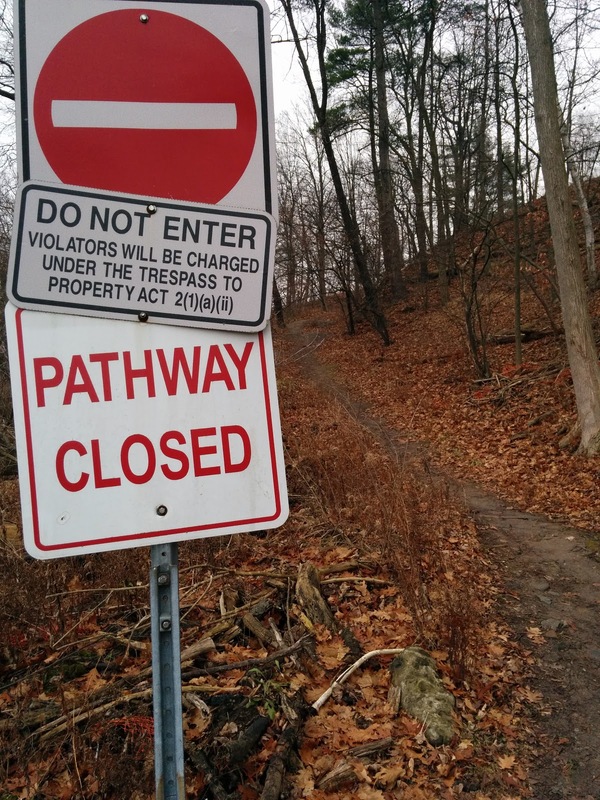 Remove barriers to access on the trail between McMaster parking lot "P" and the west side of the bridge over Cootes. The "speed humps" on the actual trail, making the trail more dangerous. 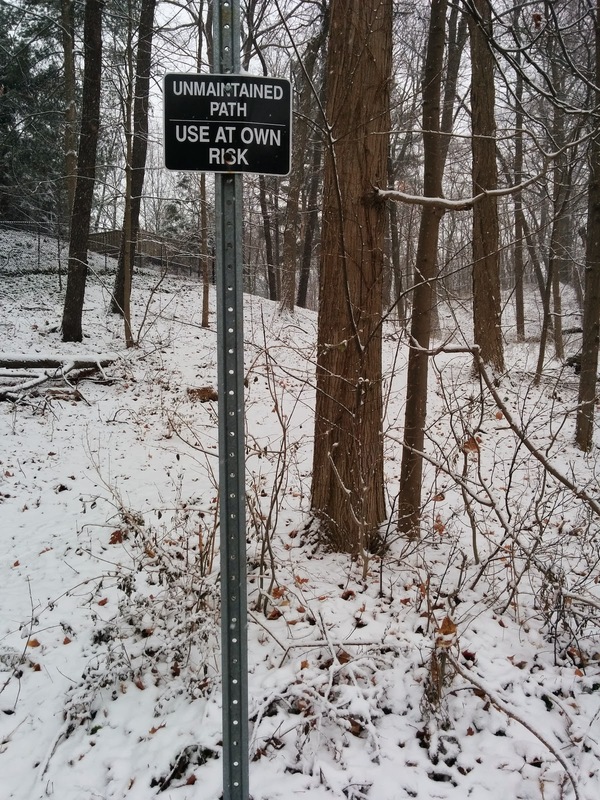 This trail was part of the Royal Botanical Gardens’ Coldspring Valley Nature Sanctuary, 1958-1963. This is the longest, mostly intact, surviving trail, after campus parking lot expansion into west campus in 1968. McMaster bought the land from the RBG in 1963. We also want to commemorate the history of the area in some way with some sort of sign/plaque. 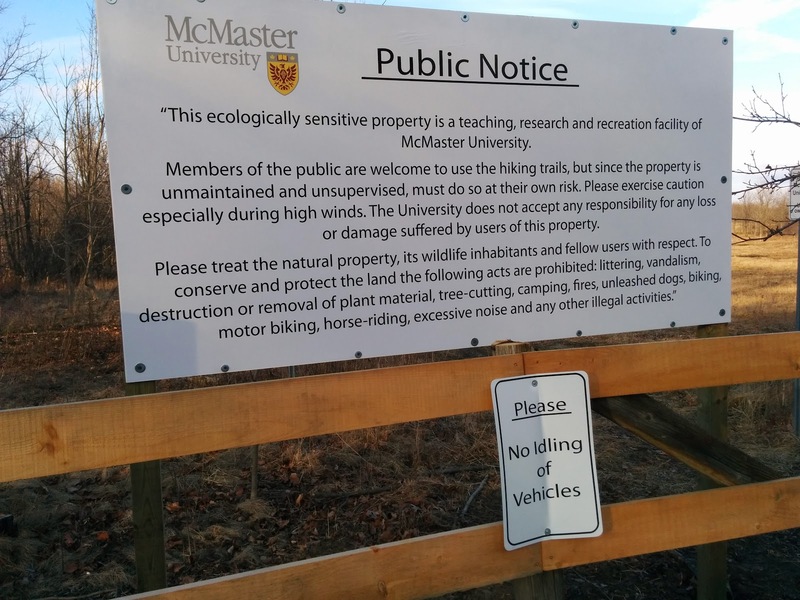 Rather than treating this historic path as a liability, we want McMaster to celebrate the natural footpath and history of the area. 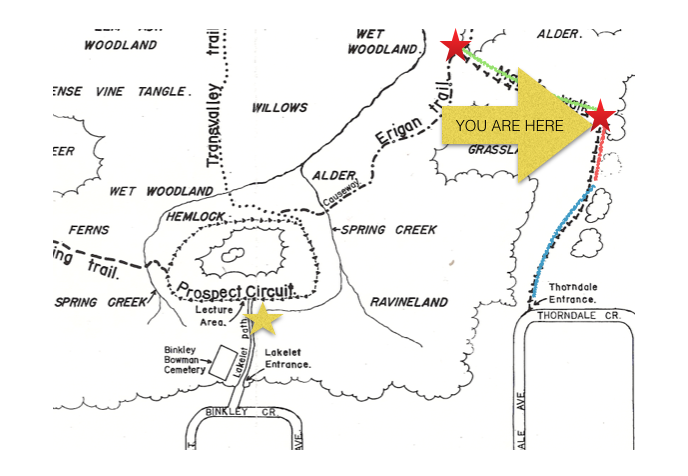 Other trails leading to the same area like the Lakelet Path south of the Campus Services building (see yellow star on map, above) have “use at own risk” signs, as does the trail system of McMaster property at Lower Lion’s Club road in Hamilton. There is no need for “no trespassing” signs on this historical trail. Use the same signage as the Lakelet Path and embrace the remaining beauty of the footpath known as Maria's Walk. Remove the barriers, and welcome people to enjoy the trail. Want to get more involved behind the scenes? Or maybe you think this campaign is misguided? Do you have some ideas you want to share? Contact OPIRG McMaster at 905-525-9140 x26026 or e-mail Randy at dundastard@gmail.com. A Mirror With No Reflection?